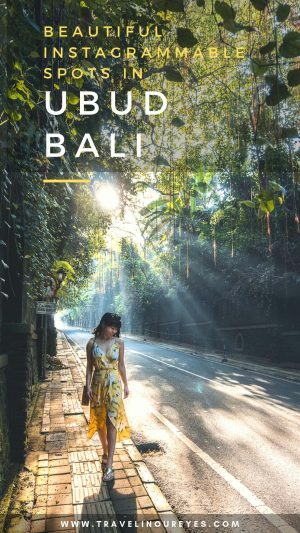 Bali has so many beautiful and photogenic spots because of its surrounding rice fields, countless waterfalls, amazing temples and much more! And, you know how when you’ve marked down beautiful spots you’ve seen from Instagram with great plans to go? Only to find out it takes something like 6 hours to get there? Bali is just like that. It’s big for an ‘island’ and takes quite a while to get to different areas. We realize that most visitors are not full-time travelers but rather holiday in a place for 4 or 5 days. So we’ve clustered the top photo spots by area as well as based on how accessible it is for the everyday visitor. 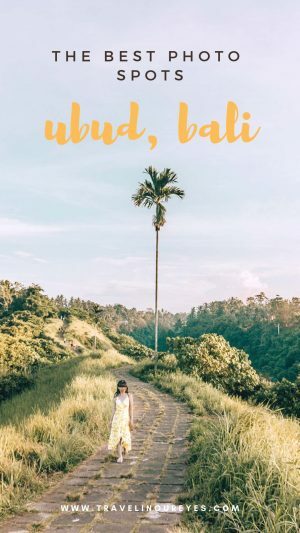 Here are top Instagrammable places in Ubud that are incredibly easy to get to and all totally doable even if you’re staying for just a couple days. Tegalalang Rice Terraces is a valley of rice paddies. 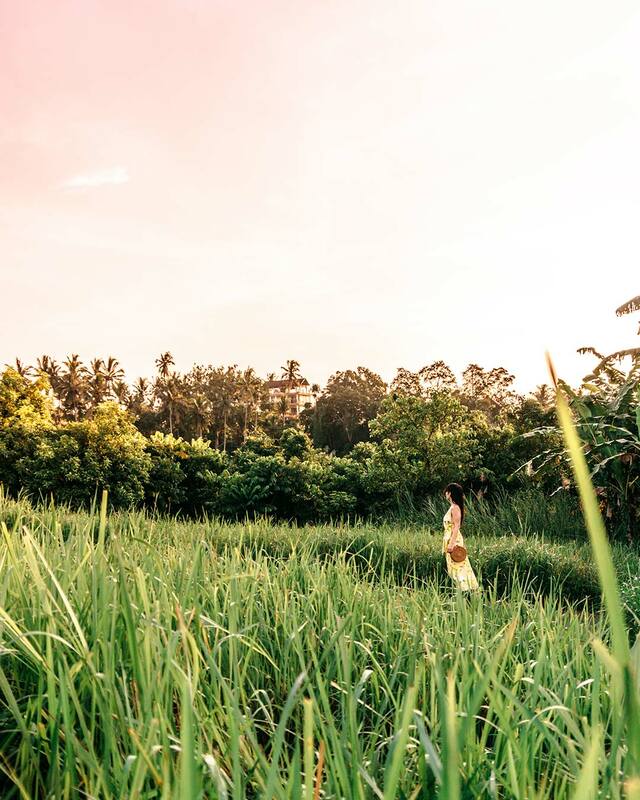 It has some jaw-dropping views and definitely a great photogenic spot in Ubud! 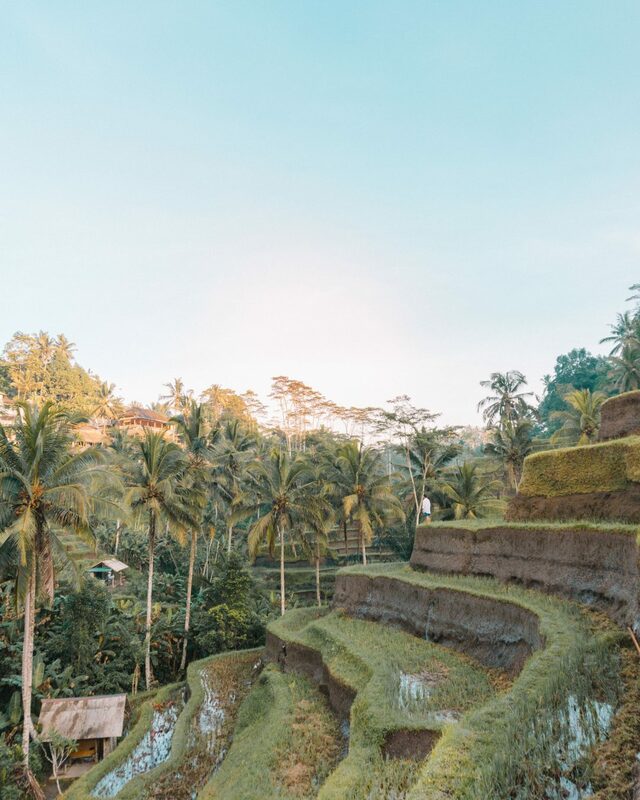 We never expected rice terraces to leave us so speechless, but Bali’s Tegalalang does. So much so that we don’t have much else to say about it except to be sure to go! Secret travel tips: Do expect individual farmers to charge a fee as go through their plot, have good walking shoes. Also, get here by 7am to escape crowds and also possibly miss the entrance fee, as we did! Have you ever swung over the abyss? Bali Swing seems like it could potentially be a tourist trap, but we loved it! Swinging at 25 meters above ground, with a breath-taking view left us full of happy butterflies in our stomach! 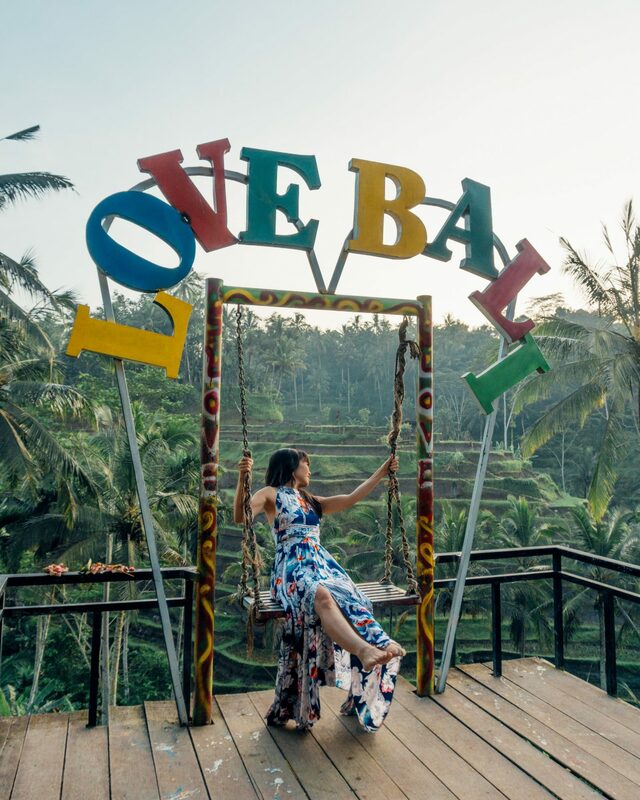 This place is definitely one of the top Instagrammable spots in Ubud. Secret travel tips: Go early! Otherwise, we heard you could be waiting for up to an hour for just one swing. Bali is home to several absolutely incredible villa with private pool! 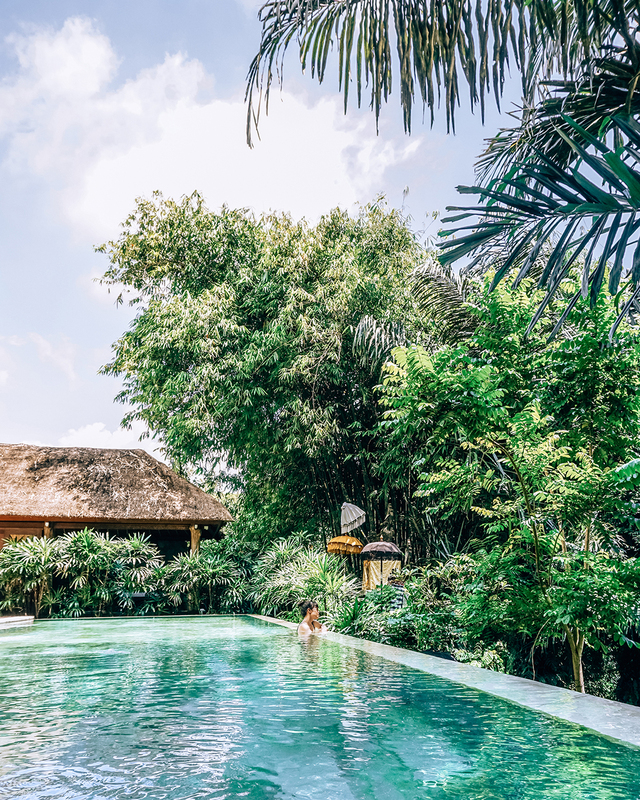 The amazing and affordable private pool villas in Bali provide you with your own pool that you can stay with your loved one! Pura Saraswati – A stunning temple that features water ponds filled with pink lotuses. There are traditional Balinese dances & folklore are performed on the temple’s open stage in the evenings and you have to buy tickets to watch the performance. Secret travel tips: If you want to get pictures sans people, arrive early, possibly before the temple opens! Also, if you don’t manage to get tickets, but want to watch the cultural performance, the best seat in the house to watch the performances or the temple’s ceremonies is from Cafe Lotus (minimum dinner cover charge of IDR200,000 or USD 15) right at the entrance to the temple grounds. Pura Gunung Lebah is stunningly picturesque. It’s Balinese temple right off Campuhan Ridge Walk that is more catered to the local Balinese and thus, less visited by tourists. The Campuhan Ridge Walk is within walking distance from pretty much anywhere within the Ubud town center. 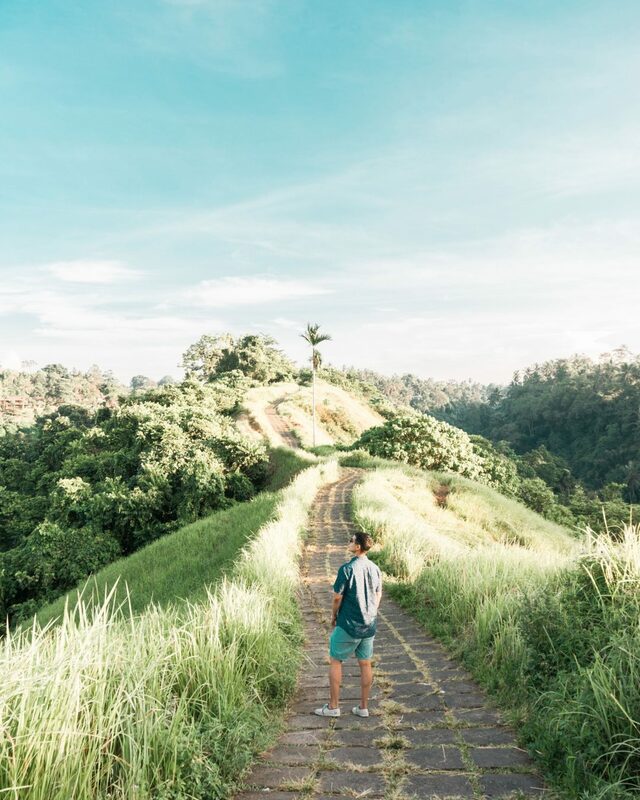 The walk goes through amazing views of Ubud’s jungles to stunning grass valleys and rice fields further along. 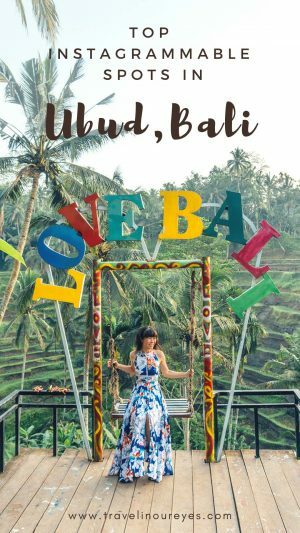 It’s free and definitely one of the top Instagrammable spots in Ubud! Tegalalang has also become famous for its Love Bali signs. Both the Bali swings and the love Bali signs are on the roadside of the valley. 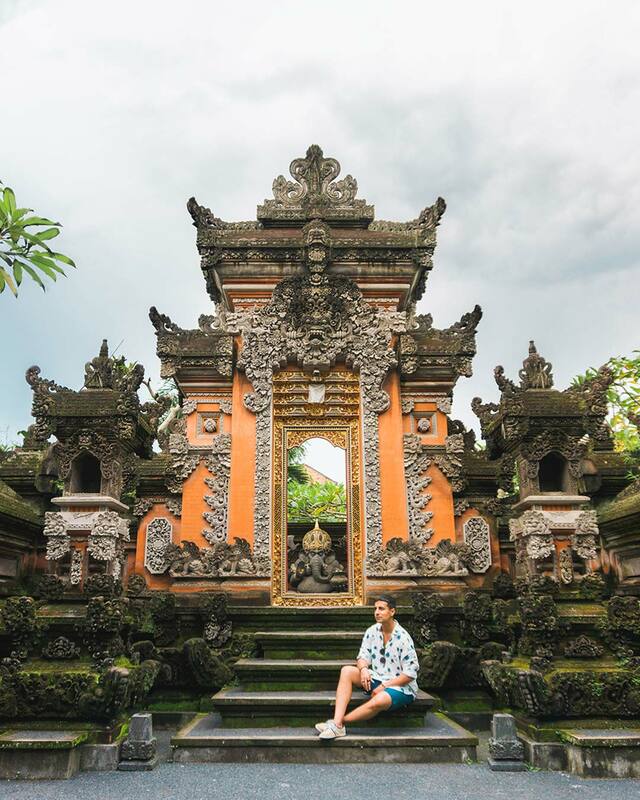 There are so many pretty photo spots just within Ubud town itself – from small temples to cafes to surprising little lanes. 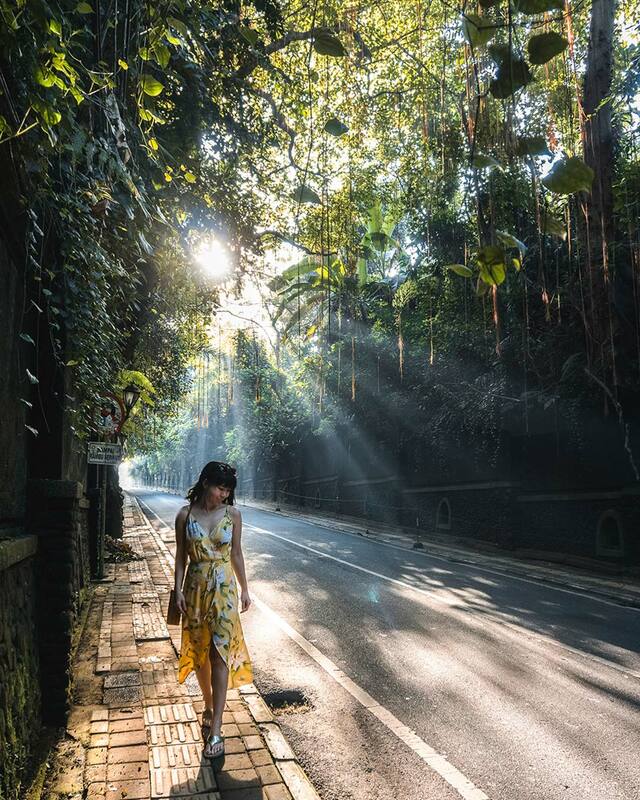 Ubud is so beautiful that even the empty streets are picturesque! 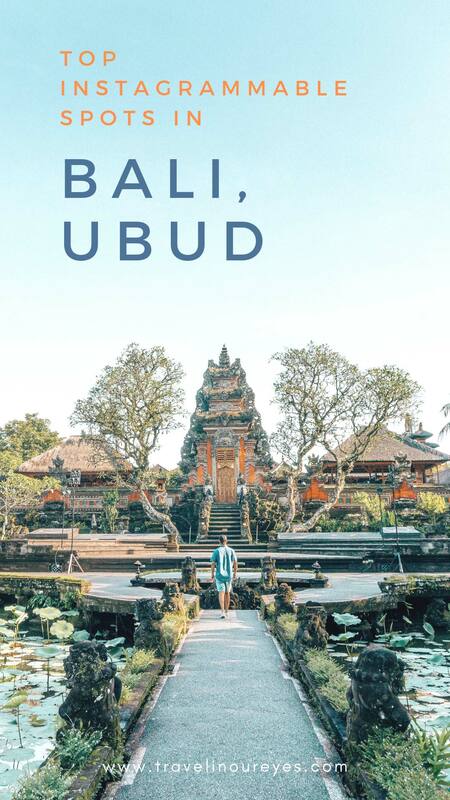 There are many more beautiful places in Ubud, but we highlight these as the top Instagrammable spots in Ubud because they’re especially easy to get to and you can definitely do them even if you’re there for a couple of days. 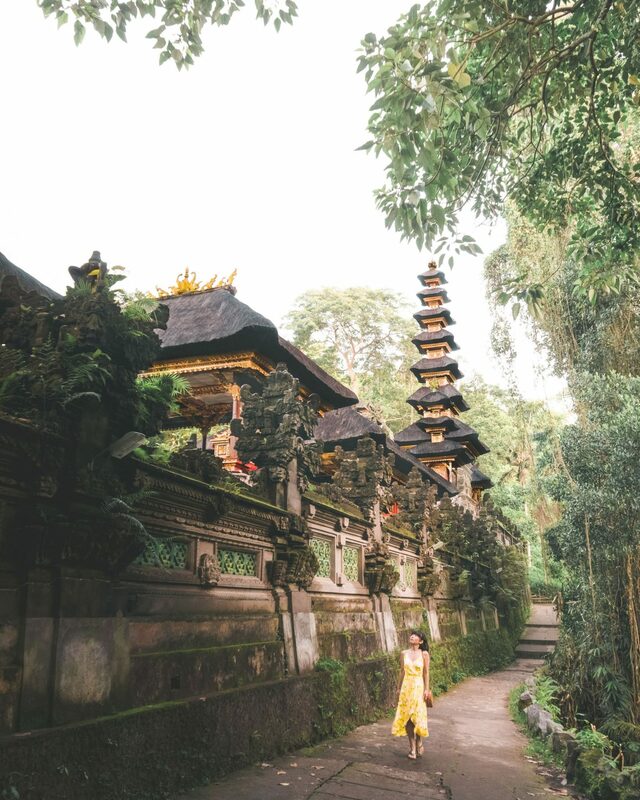 We hope you have a magical time in Bali and love it as much as we do! LIKE THIS? PIN IT FOR LATER!